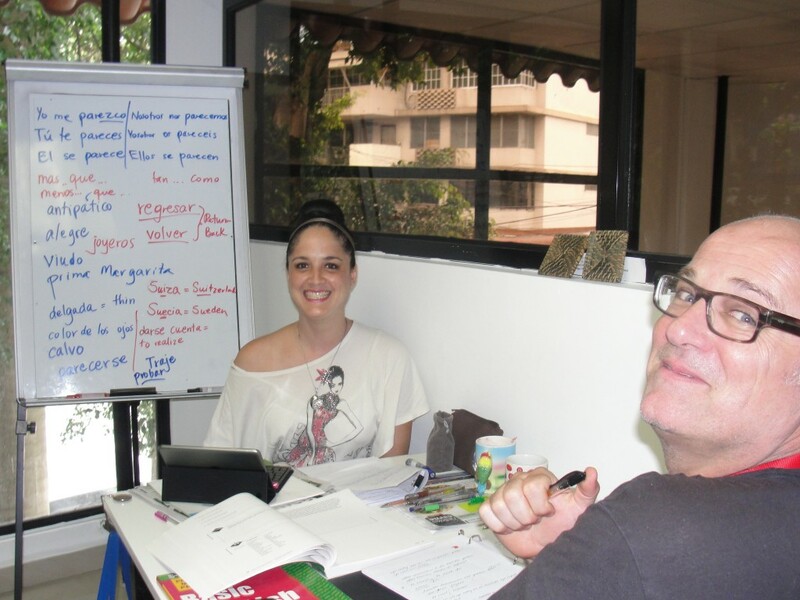 SpanishPanama’s team of 16 highly trained and experienced Spanish teachers are ready to be sent to your business office to teach Spanish classes. NOTE: SpanishPanama also sends qualified English teacher to teach English at companies throughout Panama City! This SpanishPanama Executive Spanish program is specially tailored for companies in Panama that have employees that need to improve their Spanish efficiency. Or the employers and usiness executives in Panama may be working in a Spanish speaking office and need to learn Spanish quickly, or need some help with Spanish translations when dealing with bankers, lawyers, and other businesses in Panama and abroad. SpanishPanama Executive Spanish classes can be taken at our school on Via Argentina, El Cangrejo, at your office, or even in your hotel or home in Panama City, Panama. The most popular Business Spanish course is the 50 hour Flexible Course but you can also choose a program of 10 hours and up, with flexible scheduling to suit your needs. Our instructors are highly qualified and experienced, and are ready and willing to help you reach your learning goals. They have assisted many professionals across Panama City, including those in the real estate, banking, shipping, Panama Canal expansion, and trading professions as well as business entrepeneurs and those working for established corporations in Panama. SpanishPanama Executive English and Spanish courses: Our English and Spanish teacher professionals are qualified to teach all levels, beginner to advanced, English or Spanish, and to corporate heads as well as secretarial positions.